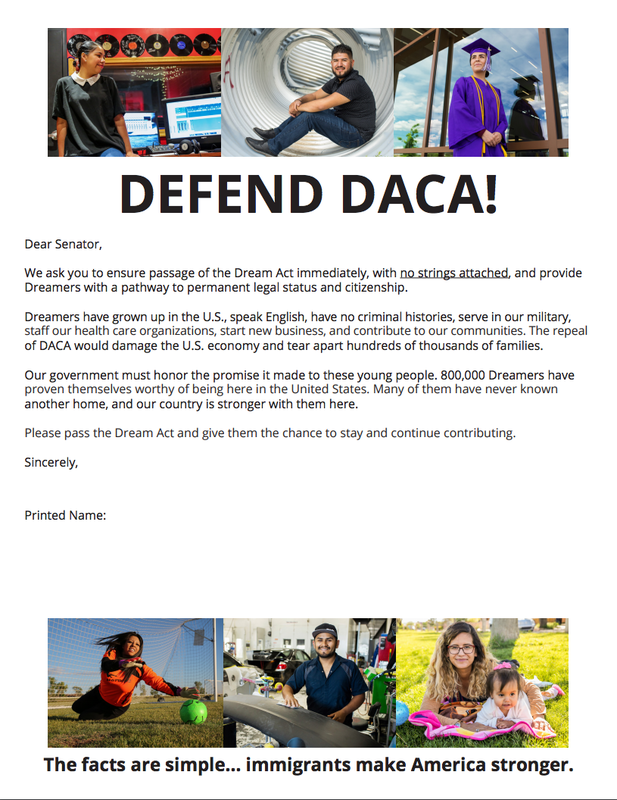 Help us protect our Dreamers by flooding key Senators with mail demanding that they pass the Dream Act - no strings attached! 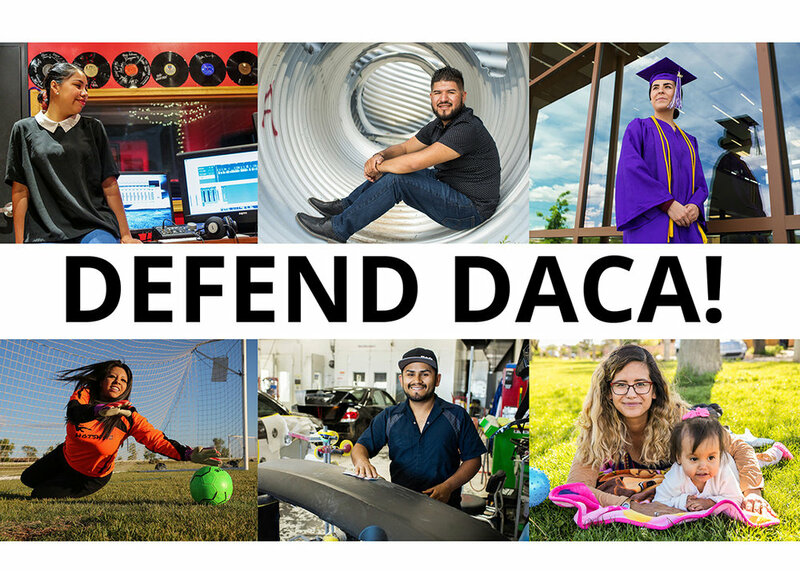 For a small donation, we will send you as many of our beautiful DEFEND DACA! postcards as you would like. Gather a group of friends, your church group, activist group, office, or family to write a short message to key Senators demanding that they pass the Dream Act - no strings attached. Then just drop the postcards in the mail. OR DOWNLOAD AND PRINT THIS LETTER and send it to Congress demanding that they pass the Dream Act - no strings attached! Your donation in the next few weeks will help cover attorney fees for DACA renewals and screening for stronger forms of protection for Dreamers. United We Dream has teamed up with Indivisible and the National Immigration Law Center to put together some great advocacy tools to help protect immigrants and pass the Dream Act in your locality. Check out it out and take action! For a small donation, we will send you a toolkit for student/activist engagement around the threat to DACA and Dreamers in the US right now. It has tools for students to learn about DACA and why Dreamers are important in our community and to send a message to our elected officials to Defend DACA.